Backed by profound experience of our experts, we are an unparalleled name engaged in manufacturing, exporting and supplying high quality assortment of Individual Spindle Winding Machine. Specifications :Model : Excellent PCW 101. Traverse : Adjustable from 127 mm to 229 mm. No of lays : 3, 5, 7, 9, 11, 13, 15. You can vary traverse from 50 mm to 300 mm. You can vary lay length as per yarn thickness to avoid overlapping yarn. You can wind equal length of yarn on each bobbin to avoid wastage of yarn. 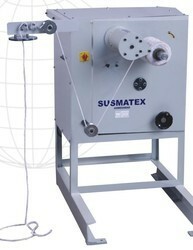 You can vary winding speed as [er your yarn quality by means of D.C. drive / A.C. variable drive. 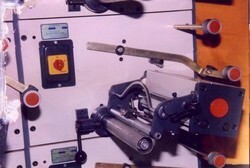 Easy to operate with the help of control panel.